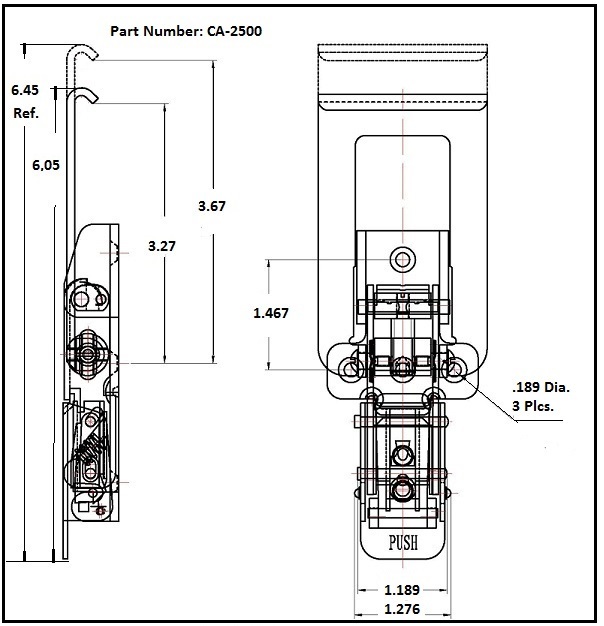 Request a quote for CA-2500 - Adjustable Tension Latch today. JBF National latches and catches are manufactured from the highest quality materials. They are designed and tested for ultimate reliability and durability. 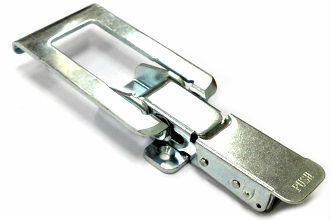 This adjustable latch is manufactured from clear zinc plated steel and features a heat treated hook. CA-2500 allows for tension adjustment based on latch/keeper hole distance and has been tested at 2500 Lbs. without failure. Please see component diagram below.